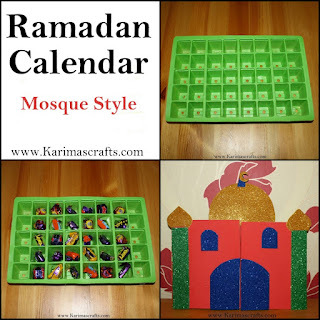 In the previous years I have always had the kids make Ramadan Calendars, this year we did a similar one to last year using plastic garden containers but this time my 8 year old wanted it in the shape of a Mosque with opening doors on it. I think it turned out really well. 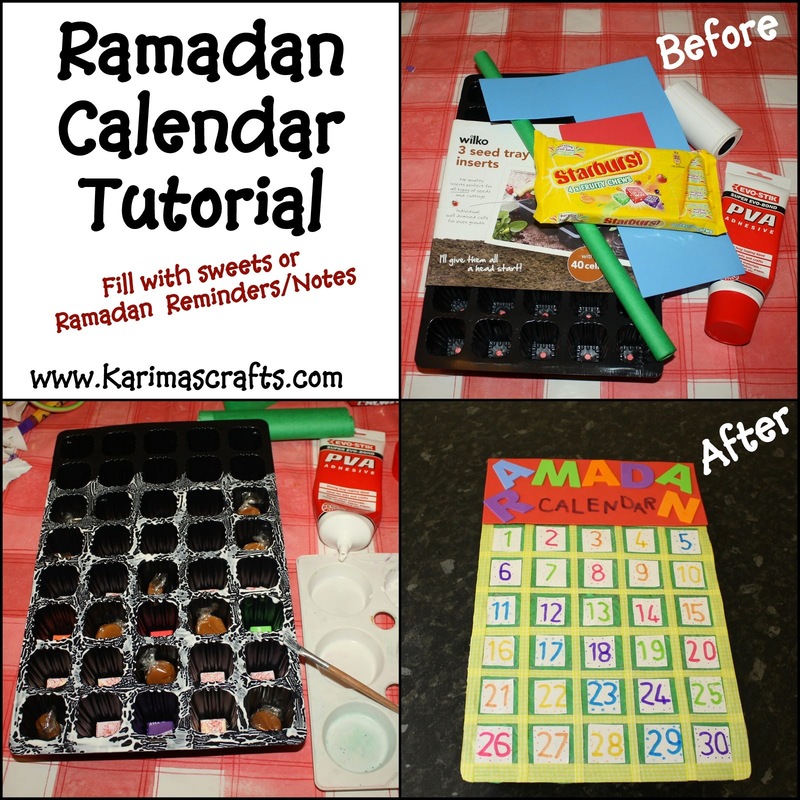 Step 1: Fill your 30 compartments with your chosen sweets/paper inserts. Leave the two side columns empty. Step 5: Decorate 2 pieces of card (doors for the tray) Glue this onto the side of the tray where there are no sweets. 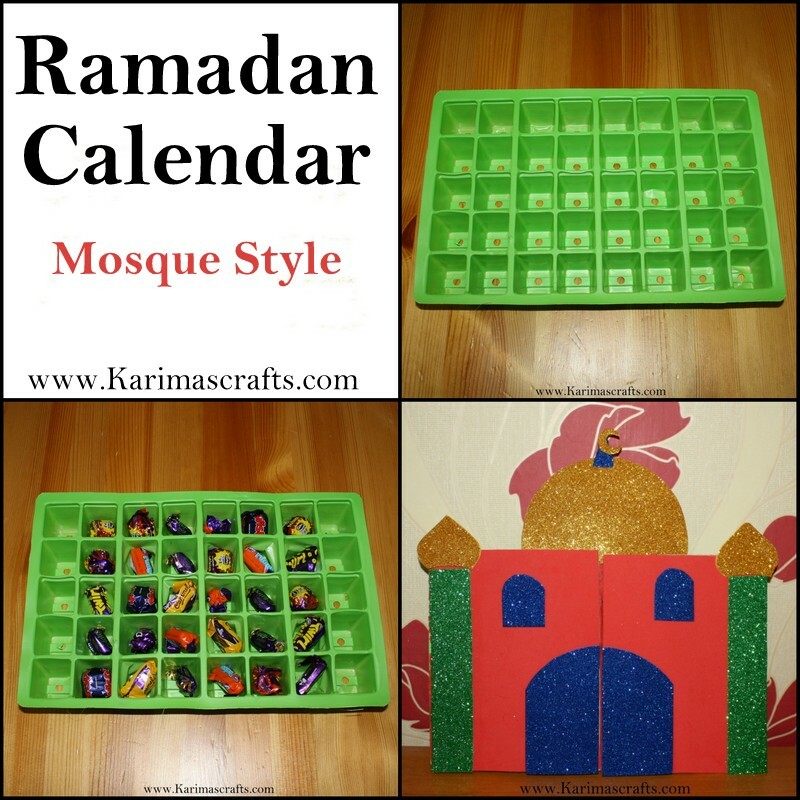 Step 6: You can add as much decoration as you wish, we used to sticky glitter card to make a shape of a Mosque door, windows, minarets and a dome. We stuck these onto the doors we made. Step 5: We also attached some card (glued) to the back of the tray so that it would keep the tray from bending about and could then be placed upright too. 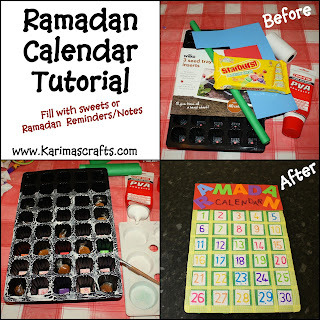 The way to use these calendars are that you press down on the number relevant for each day of Ramadan and it will tear/give way to reveal your sweet or note.